Yes: The Summer of Riesling has officially started. So what does that mean for you? In case you missed the first six iterations of this restaurant-centric lovefest for all things Riesling, what happens is that, beginning June 21, a plethora of restaurants around the country agree to feature several Rieslings by the glass throughout the entire summer. There are also tastings, dinners, hootenannies (well, one hopes) and so on. The list of participants can be found here. The purpose, of course, is to build awareness for Riesling, a great white grape that suffers from several misconceptions: First, that all of it is sweet (it isn’t), second, that it all comes from Germany (it doesn’t, though Germany is undoubtedly Riesling’s homeland), and third, that it’s weird and you’d be better off buying Chardonnay (definitely not). The truth is that Riesling can be anywhere from bone-dry to dessert-style sweet. No matter what, though, it tends to have brilliant acidity—a tartness that wakes up your tongue, and in the case of sweeter Rieslings, keeps the wine from becoming cloying or sugary (acidity actually lowers your tongue’s perception of sweetness; think of how boring a Key lime pie would be if it weren’t tart). It’s a wildly adaptable food wine—good Riesling can go with anything from roast pork to oysters on the half shell—and if fact if you thumped any random sommelier on the side of the head and said, “Hey, buddy, what’s your go-to white when you’ve got a bunch of people ordering different things on the menu?”, then he or she would undoubtedly cry out, “Riesling!” In fact, I suggest you try this with the next sommelier you see. So to help out the Riesling cause, here are five good (and affordable) bottles to check out, from five of the world’s wine regions best known for this delightful white. 2012 Urban Riesling ($12) This intro-level wine from winemaker Nik Weis has apple-spicy flavors and a light touch of sweetness on the finish. It’s a good introduction to the Rieslings of Germany’s Mosel Valley, inarguably one of the greatest Riesling regions in the world. 2012 Chateau Ste. Michelle Columbia Valley Dry Riesling ($11) Though Chateau Ste. Michelle makes vastly more of its lightly sweet basic Riesling, for my money, its Dry Riesling (as written on the label) is the winner of the two. Peachy and crisp, it’d be a great bottle for any kind of seafood on the grill. Also, if you feel like spending a bit more, the lightly honey–scented 2013 Poet’s Leap Riesling ($20) from Long Shadows Vintners is an ageworthy Washington standout. 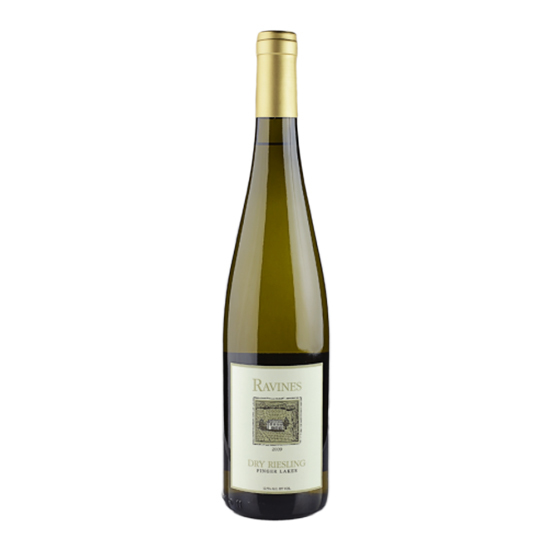 2013 Ravines Wine Cellars Dry Riesling ($17) The best Finger Lakes Rieslings can go head-to-head with some of the best Rieslings in the world, though people don’t often realize that (which is a shame). Ravines is one of the region’s top producers, and this dry, floral wine shows why. Other top Finger Lakes wineries to check out include Dr. Frank, Hermann J. Wiemer, Heart & Hands and Red Newt. 2012 Hugel & Fils Alsace Riesling ($20) Alsace Rieslings tend to be a bit pricier, but they offer impressive depth of flavor and richness, while staying away (typically) from any overt sweetness. Hugel’s pricey Jubilee bottling is one of the best around, and will age beautifully in a cellar for years. But for a more affordable taste of the style, look for Hugel’s apple-inflected, basic Alsace version. 2012 Jim Barry The Lodge Hill Dry Riesling ($17) Several regions in Australia make good Riesling (almost always in a dry, crisp, tart style) but the Clare Valley north of Adelaide is the benchmark. This wine from Jim Barry has the classic Clare character: lime juice and lime zest flavors, zingy acidity and a mineral-chalky finish.